At ABC Recycling, we strive to treat our people like family. One of our greatest sources of pride is that many lifelong friendships have been formed here through 4 generations. We don’t just offer a place to work, we offer a career, a chance to build great relationships and a chance to give back to your community. As we grow, we are committed to developing and advancing the careers of our people regardless of where they start with us and what their training/education is. Many of our current leaders were first discovered as labourers and operators in the yards. 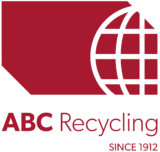 Why work for ABC Recycling? Act with integrity – We honour our commitments, and carry ourselves in an ethical and respectful manner. Bring our best – We challenge ourselves to be industry leaders in safety and customer service. We strengthen our people, our partners and our community. Commit to our future – We strive for continuous improvement and everyone has a voice in this. ABC Recycling is an equal opportunity employer. Through our non-discrimination policy, we are committed to providing a safe and welcoming environment for all to enjoy. We encourage applicants from all qualified individuals regardless of age, gender, race, religion or any other identifying characteristics. We are a workplace that is as diverse as our metals. ABC knows that a diverse workforce brings with it many different skills and talents which keep us performing at our best. With so many different and diverse minds coming together, we are able to come up with more ideas and solutions, as every individual brings their own way of thinking, operating, problem solving, and decision making skills. ABC Recycling is committed to giving back to the community. Every year ABC Recycling employees are given 16 hours worth of paid volunteer time to go out into our community to say thanks. Some of the opportunities we have been involved in the past include: The Great Canadian Shoreline Cleanup, sorting food at our local food bank, ABC Food Drive Challenge, United Way Day of Caring, and donating blood to Canadian Blood Services to name a few! ABC Recycling recognizes the importance of acknowledging their employees and saying thanks for their hard work and dedication. The Social Committee puts on events at various times of the year such as: “Taco Tuesday,” “Sundae Funday,” monthly birthday parties, and bowling nights among others. Each event is a huge success with almost 100% participation from our employees. The ABC Recycling Educational Fund supports the on-going education of Burnaby Hospital’s Maternity and Neonatal Intensive Care department nurses. At ABC Recycling, we strive to treat our people like family. We don’t just offer a place to work, we offer a career, a chance to build great relationships and a chance to give back to your community.